InFamous: Second Son continues the series’s open-world action formula, but according to Sucker Punch cofounder Chris Zimmerman it was supposed to be more like Nintendo’s Animal Crossing franchise. Yesterday, an extract from the same interview had Zimmerman saying games development is like raising children, in that you have to let them grow beyond your own conceptions of how they should be. Today’s comments provide a little more context for this claim, as it seems Sucker Punch had a very different idea for the InFamous series than the way it turned out. “The original idea for Infamous, believe it or not, was that it was kind of Animal Crossing, but you were a super hero,” Zimmerman told Gamespot. Apparently, InFamous was going to have the kind of social features Animal Crossing has – presumably things like sharing a game world with friends, and visiting each other’s game worlds. “All kinds of crazy stuff like that. We worked on that for about a year in that direction,” Zimmerman said. In fact, one of Sucker Punch’s first pitches for InFamous involved battling a gang of purple, balloon-stealing gorillas. 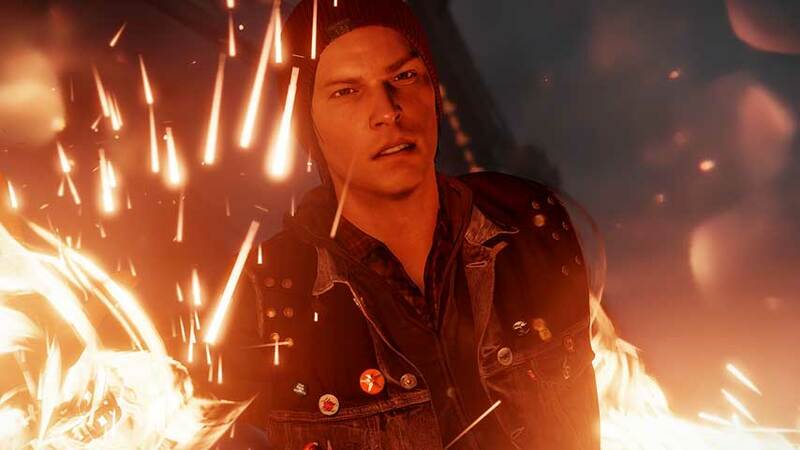 InFamous: Second Son is a PlayStation 4 exclusive due on March 21.